This week mortgage rates collapsed again. This is tricky since it wasn’t long ago that we thought the economy was gaining strength. Apparently the Fed and the market think otherwise. This was the largest one week drop in a decade! Lower rates could bring some real estate buyers off the sidelines. However, if rates cannot climb, it sure feels like a recession is right around the corner. Would you rather have low rates and a recession, or higher rates and a strong economy? 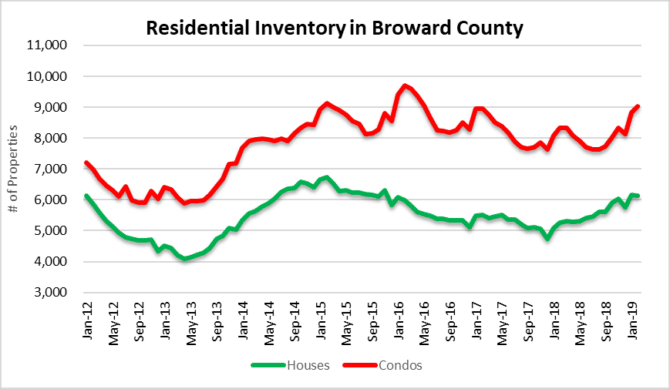 This next chart shows how the inventory of unsold houses and condos is at a level we haven’t seen since March of 2016. 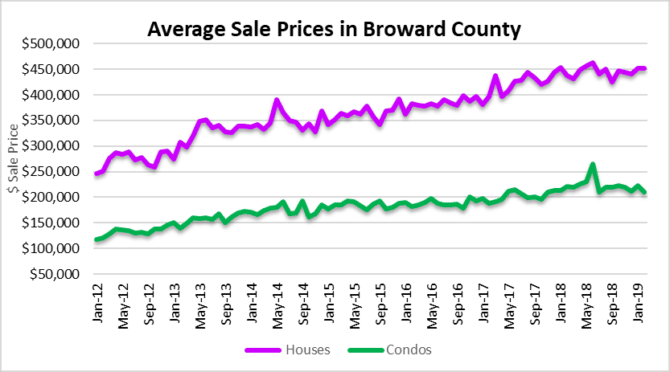 This February there were 6,145 houses and 9,019 condo properties currently listed for sale, for a total of 15,164 properties. There is a chance the recent decline in mortgage rates will help reduce some of this inventory. On the other hand, if we are heading toward a recession, low rates may not boost sales activity enough. 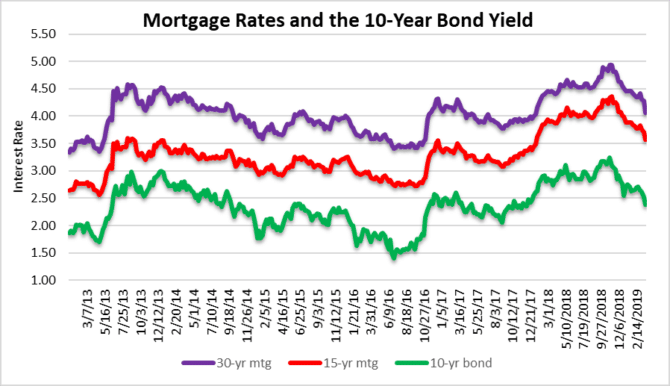 Will mortgage rate decline boost transaction volume? The first few months of the year are usually slow and 2019 is starting off sluggish. 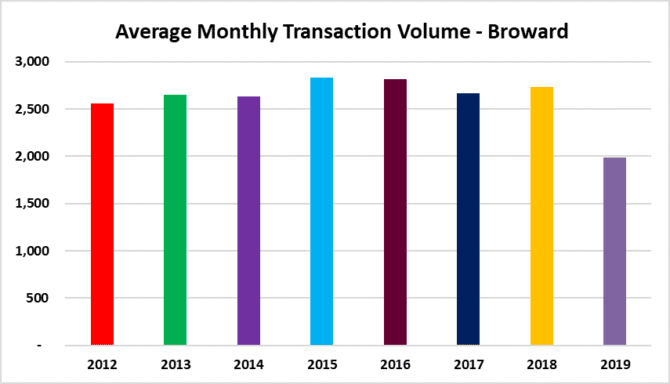 Below is a chart of the average monthly transaction volume in the Greater Fort Lauderdale area. We always stress that transaction volume leads price action. Therefore, a prolonged slowdown in deal volume will inevitably lead to lower prices. The average sale price of a single-family home in the area was $451,410 during February. This is only a 2% decline from the June peak of $462,275. Condo prices have declined 20% for the same period. The average selling price in June was $264,975 and dropped to $210,668 in February. This entry was posted in Fort Lauderdale real estate, Mortgage rates and tagged Fort Lauderdale real estate, housing bubble, mortgage rates. Bookmark the permalink. Both comments and trackbacks are currently closed.